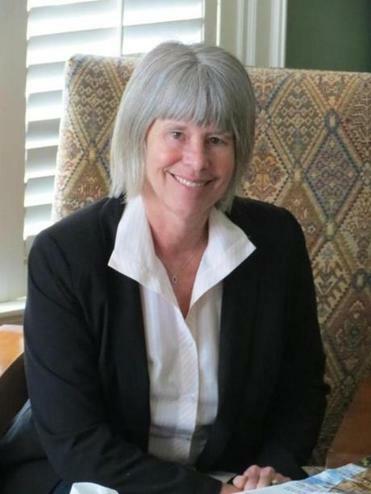 Twenty-five years ago, Megan Epler Wood founded The International Ecotourism Society, the first nongovernmental organization dedicated to employing tourism as a sustainable development tool, and was its CEO until 2002. Since then Epler Wood, a Burlington, Vt., resident, has been a consultant and instructor, for the past several years teaching online tourism courses through Harvard Extension School. Last year, Epler Wood became director of the new International Sustainable Tourism Initiative at the Center for Health and the Global Environment at the Harvard T. H. Chan School of Public Health and this year was named senior project associate with the Center for Sustainable Global Enterprise in the Samuel Curtis Johnson Graduate School of Management at Cornell University. Below are edited excerpts from an interview with Epler Wood about sustainability in the trillion-dollar travel and tourism industry. Q. How do you define ecotourism? A. I still use the one-line definition we came up with in 1990. Ecotourism is “responsible travel to natural areas that concerns the environment and sustains the well-being of local people.” It should be understood that ecotourism falls under sustainable travel, which looks at much broader questions of all travel worldwide. Q. Now that the concept of ecotourism has been around for a few decades, do you think travelers understand it, or do they mostly equate it with the option to forgo daily laundry service at hotels? A. Ecotourism absolutely helps guide professionals, but it has not been a consumer phenomenon. Most consumer-based research shows that when travelers go on vacation, they also put their environmental concerns on vacation. Q. Do you see being green as something sustainable or trendy, and are there generational differences? A. I’ve seen it come and go. I think it has to do with the upturn of economy. It’s possible that the millennial generation will prove different. They’re born into a world where travel is a given, so I think they’re more likely to see through the slick promotional stuff. They’re also social-media driven — they depend on peer-to-peer. Granted, it’s a fragile way of hoping our environmental messaging is working. But, for example, TripAdvisor, the most visited travel site, established the GreenLeader Program as a way for peers to share information about eco-friendly places. Q. One of the biggest travel trends over the last several years is experiential travel, where people want to participate in a culture. How authentic can these experiences be when so many travelers are doing them? A. I think it can be very effective, but it takes a lot of work to do it right. For instance, if a tour includes lunch with a local family, it could become highly repetitive and false. The key is to present the activity honestly and to keep it fresh for hosts and the travelers. Q. How do independent travelers visit communities different from their own without appearing to view locals as attractions? A. I think it’s very difficult. What I advise instead is to try to find community organizations or visitor networking programs in communities that have done something on their own to develop tourism. In this way, the cultural impact is much higher. There are many opportunities like that out there now. Q. How does the average traveler find them? A. That can be challenging. A lot of times you just have to go there and look. For instance, I recently was on Eleuthera in the Bahamas, and TripAdvisor was golden in finding community products. But then I didn’t get answers to e-mails I sent in advance. So when I was there, I asked the visitors center for help in contacting people and I was able to connect with a fantastic snorkeling trip I wanted to take. Q. The killing of Cecil the lion in Zimbabwe by a tourist in a guided hunt elicited varied reactions. Many Americans condemned trophy hunting, while many Africans defended it as a way to control the lion population and raise conservation funds. What are your thoughts? A. No one thinks that Cecil should have been killed — somebody made a bad mistake. But from the viewpoint of conservation, hunting is a very important practice. Hunters pay more and have a lot less impact on the land. In southern Africa, they’ve done some of the best work in the world with locally managed community-based land trusts. They decide if they want hunting. Q. You’ve said before that most countries’ tourism officials are tasked with marketing their destinations, but not protecting them. What do you think needs to be done to encourage more protection? A. I think there needs to be a new paradigm of discussion on the role of travel and tourism and the economics and resources of our planet. We’re seeing unprecedented growth in travel and we don’t know how to manage it. UNWTO [United Nations World Tourism Organization] is playing an essential role in pointing out the way travel and tourism is becoming a primary industry that links all other industries. Q. Along those lines, there are some 6 billion air travelers annually, and growing. How does that affect the environment? A. Worldwide, 5 percent of carbon emissions comes from tourism, and air travel is half of our total carbon footprint. Flights of over 1,000 miles cause more than 80 percent of the greenhouse gas impacts of air travel. Q. You’re now working mostly through universities. How has that changed your work and what are your current projects? A. I started teaching at Harvard at 2010 and my main course relies on original research. So instead of depending on case studies, I see data from my students — who come from all over the world because it’s an online course — on the environmental impact of travel. At Cornell, we’re developing a program on sustainability management practices for hotels. At Harvard, we’re working on one project that involves computerized design systems to help regions balance tourism development with environmental protection and on another to encourage sustainable food-supply chains in hotels. Q. You’re now working on a book about sustainable tourism in the 21st century. What is its main message? A. My book signals an evolution in my own thinking. As we accelerate quickly toward a global society where the travel and tourism industry is a central player in global commerce and leisure, we need a new set of academic and institutional programs and highly trained professionals dedicated to managing its impacts. Diane Daniel can reached at diane@bydianedaniel.com.